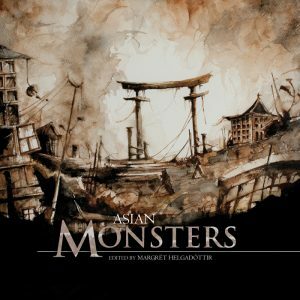 We were very pleased to discover yesterday, that in addition to being shortlisted for the British Fantasy Awards best anthology, Asian Monsters has appeared on Ellen Datlow’s honourable mentions. You can see the whole list here. This series continues to show its quality and editor Margret certainly deserves recognition for the research and care she puts into maintaining that standard. This November we are releasing Volume Four, Pacific Monsters, to be followed in 2018 & 2019 by the Americas (and related areas) and finally in 2020 by Eurasia. The first three volumes European, African and Asian Monsters are available now, from Amazon.